Wage and salary issues are at the forefront today for many business owners and entrepreneurs. Finding the right balance between paying wages that will help you attract and retain the best and brightest employees and still maintaining your company’s profitability is an ongoing challenge that shows no signs of easing anytime soon. The fact is, a business is only as good as its employees — and a workforce is only as strong as its weakest link. This is why wage and salary issues are so important today. Failure to smoothly navigate the wage and salary waters can leave companies with an inadequate workforce or, on the other extreme, excessive payroll costs that eat into profitability. § Hiring and retaining high-quality employees who will work together as part of a team and become valuable contributors to the company. § Minimizing employee turnover and absenteeism. § Determining whether employees should be paid salaries or hourly, and which employees should receive which kinds of compensation. § Structuring the right kind of employee benefits package that will attract top talent but not cost too much. § Insuring compliance with all federal and state compensation laws and regulations. 1. Costly employee turnover. The cost of replacing one employee has been estimated to be as high as 150 percent of his or her annual salary. Some of these costs are obvious, like posting on job boards, using recruiters and training new employees. However, others are more subtle — like lower productivity, lost intellectual capital and poor workplace morale due to overworked employees having to pick up the slack. 2. Lost business due to customer dissatisfaction. Often, a customer’s first impression of a business is formed by their first interaction with an employee. If the customer has a bad experience with a poor employee, he or she may never visit the business again — resulting in an untold loss of sales and revenue for the company. 3. An imbalance between payroll costs and sales volume. Ideally, a company’s total payroll expenses and its total sales volume will be in balance. But when wages and salaries increase without a commensurate increase in sales, this can create an imbalance that creates financial problems for the business. 4. Poorly designed employee incentive programs. These programs should be carefully designed to incent employee behaviors that will result in increased morale and stability, leading to higher sales and revenue and lower costs. If not closely monitored, though, employee incentive programs can become just another payroll expense without any positive impact on the bottom line. One of the best ways to overcome these and other wage and salary challenges is to hire an outsourced CFO services provider to deliver expert assistance. An outsourced CFO has the financial expertise to be able to look at wage and salary issues in a holistic manner within the context of your company’s entire financial picture. He or she can help you implement and monitor compensation and incentive programs and gauge the potential benefits of using other outsourced service providers like payroll processors and 401(k) plan administrators. Perhaps most importantly, an outsourced CFO will ensure that your company is in compliance with all wage and salary legal and regulatory issues. The positive results of working with an outsourced CFO services provider in meeting wage and salary challenges are many, including a compensation plan that will minimize employee turnover while maximizing profitability and lowering overall payroll costs and risk. In addition, your company will benefit from a compensation plan that stands the test of time and can be replicated in all areas and across all functional disciplines of the company. Such a plan will work not just this year, but for many years into the future — boosting annual profitability as well as both customer and employee satisfaction. Wage and salary issues are at the forefront today for many Los Angeles and Southern California businesses. Failure to smoothly navigate the wage and salary waters can leave companies with an inadequate workforce or excessive payroll costs that eat into profitability. 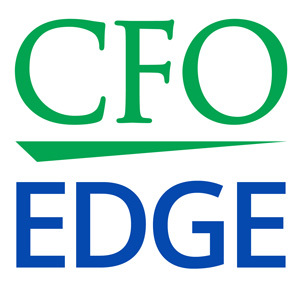 Hiring an outsourced CFO is one way to overcome wage and salary challenges. This professional can look at wage and salary issues in a holistic manner while helping you implement and monitor compensation and incentive programs. The result is a compensation plan that will minimize employee turnover while maximizing profitability and lowering overall payroll costs and risk.